One can buy very good bought curry pastes nowadays, but there is just something extra-bright and fresh about a homemade paste. And it isn’t hard to make: I just pop everything into the bowl of my little mini chop thingy* and press ‘on.’ It is that easy. The beauty of this paste is that it can turn nearly anything into a heady, flavoursome Thai-style curry. Pretty much anything veg-wise or protein-wise is fair game. You can even use a pack of frozen vegetables if that’s all you have. I’ve gratefully resorted to that option after returning from holiday to a vegetable bin of sprouted green potatoes and carrots bendy enough to make a gymnastics squad. I might be in that same situation in a few days actually. I am writing this from my Dad’s sun-warmed screened-in porch overlooking his inviting, but chilly, swimming pool. A far cry from my usual indoor perch, scarf around my neck, cat on my lap. I do however want to make this on my return. I sense a frozen veg to the rescue moment approaching. Here I have used cooked lentils – I try and always have some in the freezer, a Coquina butternut squash, a pepper that I just happened to have, and some baby spinach. On another occasion it might be something else entirely. I usually have some kind of summer or winter squash and something green in it though. The sweet-minerally duet is fabulous here. Some of you may be daunted at the prospect of making your own curry paste but I hope that you will trust my daughter Rachel’s judgment on this: this dish is one of her favourite things to eat. When I made it for these photos she took a bite (after much faffing around with my camera – she’s used to eating cooled food, bless her) and exclaimed “what? !” which is code around here for ‘OMG/amazeballs/hot damn that’s good’. On reflection perhaps it was the cumin chapatis that I had rewarmed for us in – news flash – butter. ‘What? !’ indeed. *the little processor bowl that often comes with hand blenders/immersion blenders. 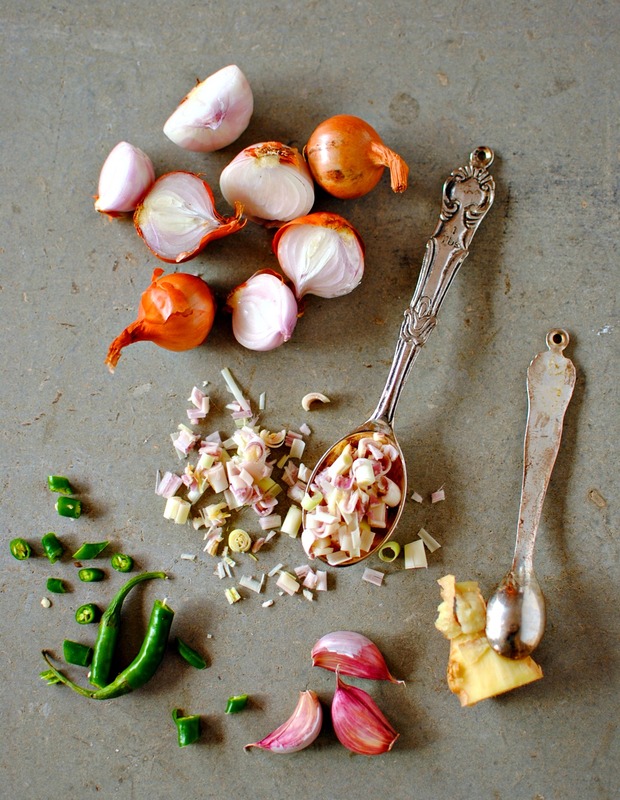 The key here – I think – is the bright, light layers of freshness in the spice paste. You can use it with most anything in your vegetable tray and it will give you a deep, delicious Thai-style curry in under forty-five minutes – including all the prep time. I make this super-easy on myself by keeping a corralled together stash of frozen whizzed up lime leaves (I keep them in a little glass jar), whole lemongrass and galangal in my freezer. I find that my Thai supermarket is the cheapest place to get such things – and the best quality too – but as it is kind of far away it is fortuitous that these delectable items keep so well in the freezer. I also keep shrimp paste with this stash, but many of you will opt to skip this little salty, fishy step. Just use some soy sauce or coconut aminos instead. Serves 4 generously – good as leftovers and freezes reasonably well (the veg will be quite soft). You can easily double the spice paste and freeze the extra portion for another time. 1. Put all of the spice paste ingredients into a mini chopper, food processor or blender and blend until mostly smooth. 2. Heat the oil in a wok or large sauté pan over a medium heat and add the spice paste. Stir it around frequently so that it sautés but doesn’t burn – about three minutes. Add in the bashed lemongrass and the squash. Mix well. 3. Pour in the stock, coconut powder/milk and add the lime leaves. Bring almost to the boil then down to simmer. Let simmer for about 15 minutes, or until the squash is soft but not at all mushy – the time will depend on the type and age of squash you use. 4. 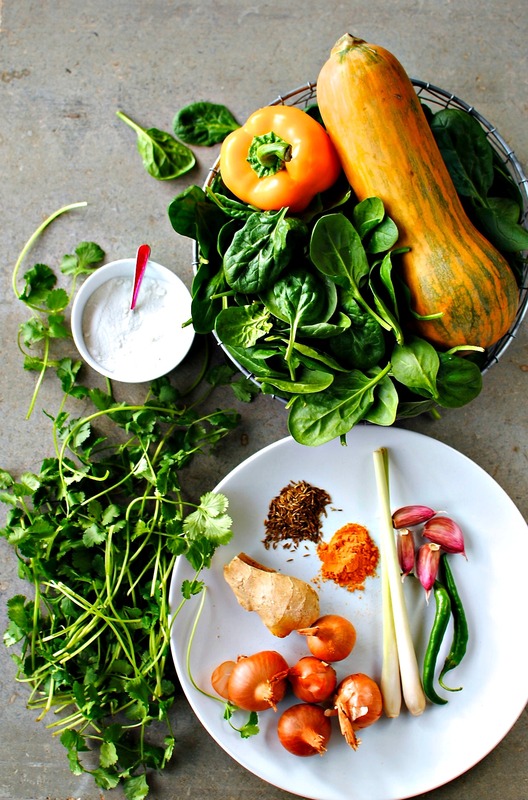 Now add in the spinach, lentils or other protein – if using raw chicken (you could use cooked chicken) put this in with the squash to allow for thorough cooking. I like to use already cooked proteins. Heat all the way through then stir in the torn coriander and a little lime juice. Allow to cool just a bit, if you can bear the wait, and taste for seasoning. 5. This curry tastes great just cooked but the flavour will deepen over 24 hours. If you think you might not eat it until the next day, shave off a little time to keep the squash from getting mushy with a reheat. Serve with chapati (see below), naan bread, rice, over cauliflower ‘rice’, quinoa or just as it is. I cheat and mix my dough in my Kitchen-Aid, but if doing it by hand mix with one hand – the other hand firmly gripping the bowl – until it forms a soft dough. Knead in the bowl until elastic and very smooth. Cover and leave for 15 minutes. Pinch off evenly sized balls (about 40 grams – golf ball-size) and flatten with your hand until you have about a 4-5 inch circle. I hold it in one hand and turn it on my flattened palm, pulling the edges slightly while rotating it. It is easier than it sounds! Now roll with a rolling pin on a floured surface until the chapati is about 6-7 inches, or 1/6 of an inch. Flick off the excess flour and slap individually onto a medium-high heated dry skillet. You will know when it is ready to flip when you peek under and see raised and browned bumps. Flip with a heat-proof spatula or use tongs. The first one might be a bit rubbish but you quickly get the hang of it. Proceed with the remaining doughy disks. Most of the chapati will billow up after the second flip – this is the sign of a good, light chapati! Because I cook a lot of pulses for work it doesn’t take much organising for me to have extras. I cool them thoroughly then bag them up in 100 and 300g lots so we can use them individually and for family meals. I do that with whole grains too as they take such a long time to cook sometimes and ready cooked makes spur of the moment meal ideas that much easier. I sound like a home economist! Sounds like good planning to me!!! By the way, could you make more of the curry paste and store some? And, for reasons unknown, i really don’t like adding stock to things, would you suggest i add anything if i don’t include it? That’s why I like Marigold Swiss Veg Bouillon. They do a low sodium one and it really is good. With their stuff because it is a powder you control the intensity. If you haven’t tried that one, but want to give stock one more go, then do try it. The curry doesn’t taste at all of stock; it is background to all the flavours in the paste and the coconut and lemongrass. Promise! DO!! Let me know what you think. Try it in something like this – something with lots of other things going on. Just getting ready to board the plane back to Old Blighty. I’ll try my best to bring some warmth. It’s stinkin’ hot today – sweaty betty here! Well, I’m still here in Florida. I’ve been visiting family here in Tampa and my flight up to Newark (The connecting flight to UK) was cancelled due to bad weather up north. Trying again today! Lots of overbooked flights and subsequently slightly grouchy people at the airport right now. Weird person that I am looking forward to cooler temps. Unseasonably hot and humid here right now. No, I don’t expect any pity! ps I know you are away but The ‘Hairy Bikers’ Asia Tour on TV has been brilliant and they were cooking with similar flavours last night….you need a show! It’s funny but we never took to the Hairy Bikers (the name perhaps??) but I will have to do catch up tv view of the Asian tour if you recommend it. I trust your judgment 😉 As for a telly show, oh you know I’m too shy for that nonsense. But thanks. And I knew you would like this one! I still remember a ‘leftover’ pea aubergine curry you served me for lunch a few years – well-impressed with that! This is my kind of meal. I also think making your own spice paste makes a world of difference! Not entirely sure where the “plus 1” button is to vote?!! I looked long and hard but can’t see it and by the way ‘OH DEAR’ just saw why you have bucklies and none chance ;). On the plus side, you are in some sterling company and most of my RSS Feed Reader is represented on this page! I have to say the plus 1 button aint there on my browser! I would click it a few times if it was…I guess I need Chrome to see it? Thanks so much! I know that the chapatis and the curry don’t really ‘go’ if going strictly on cuisine types, but we think it flies 🙂 Chapatis are another thing to store in the freezer, and you can just steam them for a few minutes or leave them out a bit and pop in a hot pan with maybe a dash of oil or oil spray. Frozen lentils and grains are a real saviour for us! Glad you like this. Thanks for commenting. This is truly food to glow! Thanks Miss EA. The nomination snuck up on me. It did last year and by the time I knew I had been nominated it had all closed and I wasn’t even able to vote for myself 😉 It’s just good to get on the list, isn’t it? Have a super weekend, and thanks for your nom. this is my kind of dish. thanks for tips on where to buy some of the ingredients. Thai or Asian supermarkets are fab for the specialist ingredients but sometimes, depending on where you live, Tesco and Morrisons can be good too. Just not consistently available. Glad I was of some use. I hope you get a chance to make it. 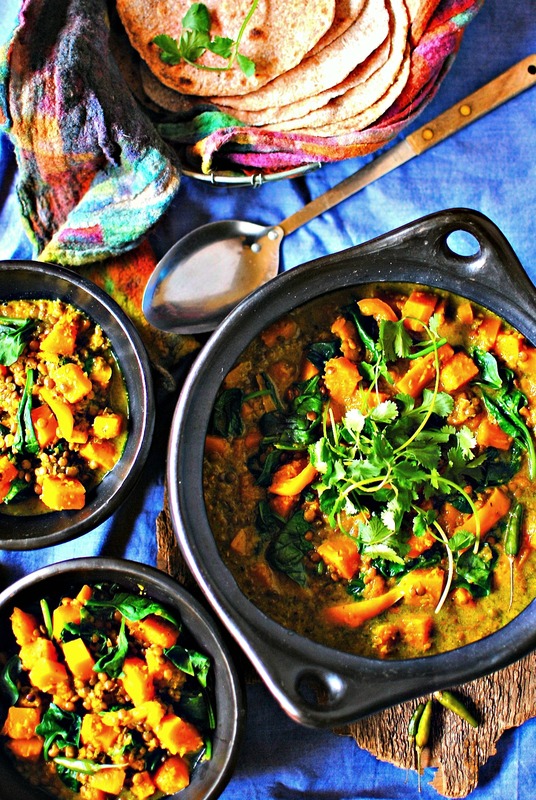 This looks amazing – curry and lemongrass in the same sentence will always get me!! Just made a lemongrass, cauliflower and red lentil curry last night for our weekend guests. 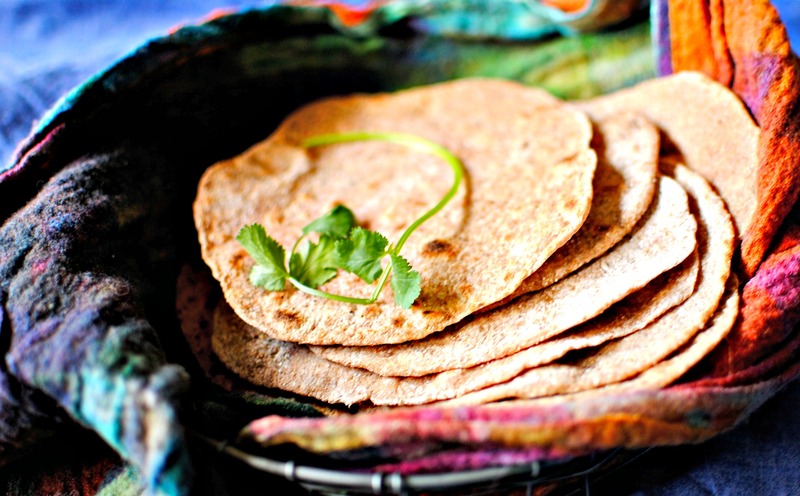 Will definitely be trying the chapati, it’s really hard to beat quick homemade flatbread recipes, isn’t it? I often use Ottolenghi’s greek yogurt flatbread which is really good and fail-proof, but for variety I’ve been wanting to find one that doesn’t rely on 3/4 cup Greek yogurt, and this is it. Congrats on the nomination at The Kitchn and good luck!! Very much deserved. Oh, I hope you like the chapati. It is something quick I like to do but I’m sure Ottolenghi’s recipe is miles better! It is so funny that we so often make very similar dishes. I consider that a good thing! I’m just getting ready to fly back to Edinburgh from Florida and am looking forward to blasting away the jet lag with a curry! I think they’re just different recipes all together. I want a stand-by liquid/oil-based flatbread recipe because if I don’t have yogurt on hand I know I’ll always have the other. 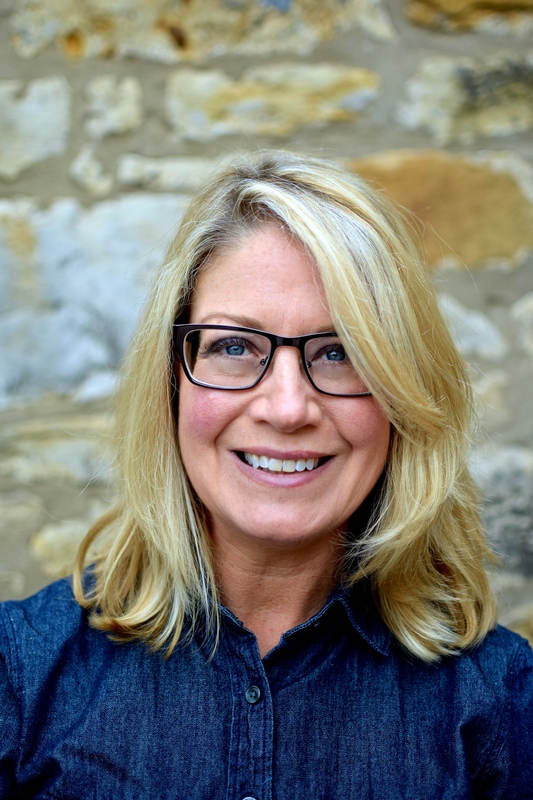 It’s great we’re often cooking similar things – it’s inspiring and satisfying to have connections with a like-minded foodie community through blogs that we otherwise would not be able to make. Safe travels back! I made the chapatis last night with whole spelt flour. They were wonderful, my husband really loved them. I used my tortilla press to press them out. 😉 Though they didn’t puff up so I may need to roll them thinner, or sub half lighter flour next time. What a colorful meal! 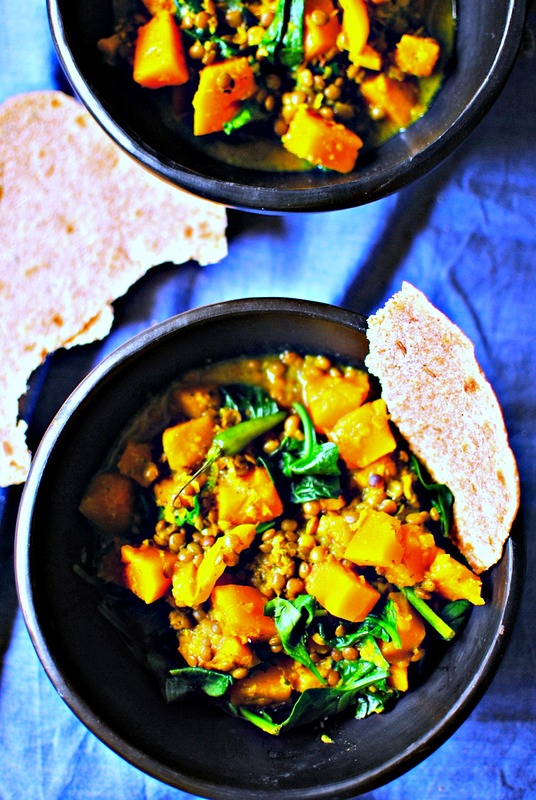 Butternut squash arrived in my CSA this week, so I would love to give this a try, though I’m a bit nervous about making the chapati. I’ve yet to try making flatbreads of any kind. Chapati have go to be the easiest of the flatbreads to make or I wouldn’t make them. Or certainly not so often. Ah, go on! It doesn’t take as long as the ingredients suggest. And my instructions are as also on the long side. I hope you give it a try one day. A girl’s gotta eat! That looks gorgeous Kellie. It really does and that first photo is beautiful. Such gorgeous colours. Love, Love Love!! I know – curries are awesome! And yes, my daughter has good taste ;-). I bet when your children grow up they will as well. They can’t help but do so. Reblogged this on Helen's Fight. Stunning! I can’t wait to make some. My boys both love curry but can’t handle much heat. This way I can control some of that but they still get all the good flavors! Beautiful photos! I know, I know. But my wrists are a bit rubbish and kneading is hard not them. Please don’t tell your Mum!